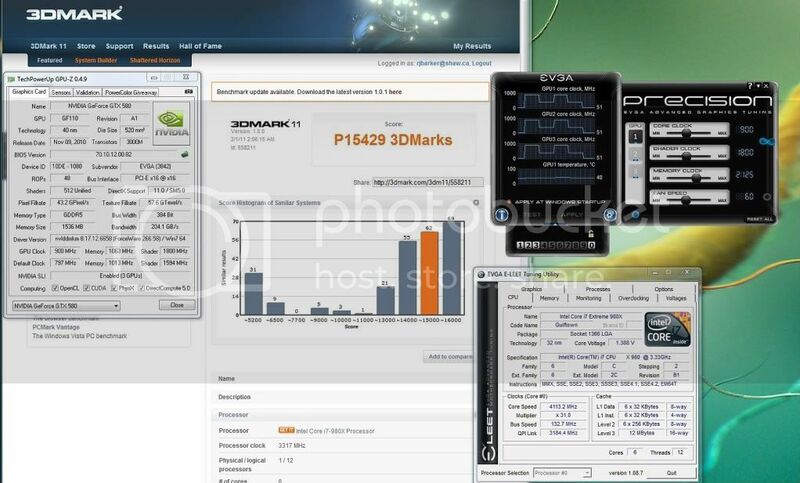 Hardware Canucks - 3DMark 11 is online! Post you scores! Extreme preset/1080p - GTX580 stock - 1945 marks. i7 940 @ 3.8 GHz, needing to fix timings. MSI Twin Frzr GTX560 Ti in SLI at stock speeds.